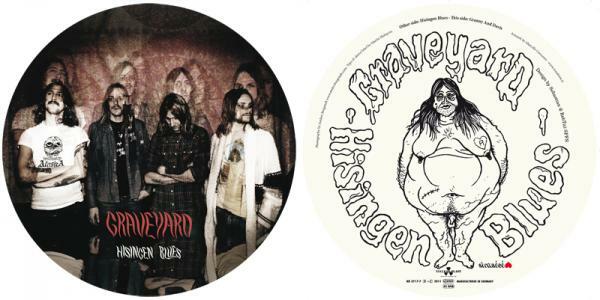 Graveyard is back after a very long break between records. This is the first single from the record and it is very promising. The record is a pretty cool picture disk on thick vinyl and starts with the title track, which I would say you can hear it is Graveyard right away and they have a pretty 70s production on this one and Joakim’s voice is a bit harsher sounding but still cool. A good hard rocking and catchy number with a spacey intro before a heavy stoney riff and vibe kick in. Some nice guitar soloing as they bring the spacey sounds in again at the end. The unreleased B-side, Granny and Davis is a very uptempo rock and roll track that sounds a bit like it came out of a jam and even has a bit of piano hidden in the background towards the end. Cool stuff. I look forward to the full length record.